NKC Parks & Recreation MISSION STATEMENT The North Kansas City Parks and Recreation Board is committed to providing the residents and business community of North Kansas City with the best possible environment for family recreation and leisure time enjoyment. We are committed to providing a wide variety of leisure facilities and services. We are committed to promoting organized recreational and social programs for all ages. We are committed to encouraging public utilization of park facilities. We will cooperate with civic or recreational groups to maximize this commitment. REGISTER TODAY! To register, go to www.nkc.org > Departments > Parks and Recreation. You can also sign up and make payments over the phone or visit the Parks & Recreation Center, MondaySaturday 9:00 am – 5:00 pm at 1201 Clark Ferguson Drive. We are committed to maintaining our park facilities in the best possible condition. We are committed to keeping the public informed of plans and activities and to respond to users’ suggestions and criticisms. We are committed to a continuous program of upgrading and expanding programs and facilities as funds permit. Our picnic facilities, walking trail, tennis courts, ball fields and playgrounds are some of the most popular facilities of their kind in the Northland. ANOTE FROM THE DIRECTOR’S DESK Summer of 2019 is going to be a season of events. The Third Annual Arts in the Park will be held at Macken Park Festival Shelter on Friday, June 14, from 5pm-10pm and Saturday, June 15, 10am-10pm. Great bands like Troubadour Retrievers, Cherry Bomb, Minor Rewind and Vigil Annie will be performing, just to name a few. You can find the full schedule on the back cover and at www.ArtsinthePark.org. 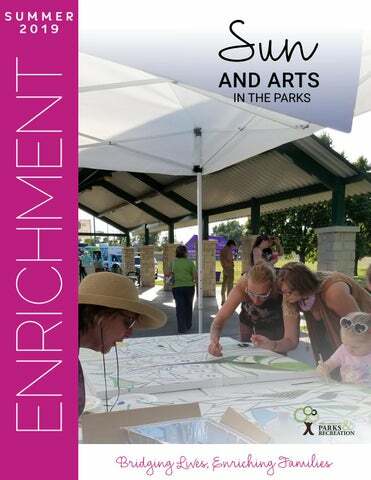 Check out pages 7-10 for a full list of our summer events held at Macken Park. A new and exciting event, Pups & Pumpers, in partnership with North Kansas City Fire Department, will be held at Waggin’ Trail Park on June 8. Your pup will be able to get their glamour shot photo on Engine #5, goodie bags for the first 150 guests, and Hawaiian Shaved Ice and ice treats for Fido can be purchased from the Cabana. We have a great summer of weekly themed camps planned. Information about the camps can be found on pages 2-3 for those who might be interested in arts, robotics or cooking classes, too. Get outdoors and enjoy the smell of nature, feel the sun on your face or make a new friend! MU EXTENSION PARTNERSHIP The University of Missouri Extension–Clay County has partnered with North Kansas City Parks and Recreation to bring researchbased, educational programming to the citizens of North Kansas City. Our partnership with MU Extension allows us to offer classes for youth, seniors and everyone in-between; these programs include, but are not limited to, courses like Eating from the Garden, Entrepreneurship and Arts, Clover Kids Camp – Missouri 4-H, Food Preservation, A Matter of Balance, art camps and more. MU Extension is looking at offering more than 40 educational classes and events through North Kansas City Parks and Recreation in 2019. Your little Picasso will create a cool paper collage that you will want to frame and keep. Do you want to turn your art into a business? Get ready for some crafting and business 101 to prepare for your very own items to be sold at Arts in the Park on June 14 and 15! Don’t have an idea of what to make, but want to learn? Don’t worry, we’ll have lots of ideas for you! Join us for this sensory art class. We will make kinetic sand and playdough. We will use balloons to splatter paint for this class. Come dressed ready to get messy! Class will be at Shelter 6 in Macken Park. Does your child like to draw? Would they like to learn new drawing techniques? Here is their opportunity to learn beginning drawing. UNDER THE SEA SLIME AND PUFFY PAINT For this fun art class we will create slime that looks like the sea and puffy paint. We will get messy, so come dressed for the mess! Clay County 4-H is partnering with North Kansas City Parks and Recreation to host a week-long day camp for youth ages 5-7 years old to experience a wide variety of activities similar to those they would see at 4-H camp when they’re 8-14 years old. Campers will have mini-missions each day led by Clay County Extension Staff, 4-H youth leaders and 4-H adult volunteers around topics such as health/ nutrition, art, nature, robotics and so much more. Although the camp is sponsored by 4-H, it is open to all youth regardless of their enrollment in 4H. Campers need to bring a sack lunch each day. Snacks will be provided. Ages 8-16 | GK Callahan, MU Extension We will use photography to capture the “real world” around us, then use our photos to inspire our painting. We will draw in a sketchbook and learn about different artists and art styles. A nutrition specialist from the University of Missouri will teach us about healthy eating and provide a snack each day. Bring a sack lunch and your creativity! Bring Minecraft to life using LEGO® bricks! Resourcefulness, creativity and cooperation come together in this unique building adventure game; roll the dice to mine for resources, and use these resources to build special items to help in our adventures! Build a Zoo, create a Medieval Castle, and design a Tree House Village! Students will have a blast, even without any prior experience with Minecraft or the LEGO® building system. Let’s get creative! We will make jewelry, have a messy art day, do science experiments, play games and more! Please bring a water bottle. Snacks provided. This preschooler chess camp specifically developmentally targets our preschoolers with puppet shows, fast chess clocks, playing chess for mardi-gras beads, collecting colorful silicone wristbands, zany movies, hilarious songs, fun chess tourneys, and a great, fun spirit that kids love. Personal Chess set to take home for each student included. Kids will cook a well-balanced meal and learn how to incorporate the food groups into healthy daily life choices. Keep the brain sharp during the summer while having a real blast in this fun, friendly, and high-energy Chess Camp! Learning made fun with silly videos, music-driven puzzlers for prizes, colorful silicone Tactixbands, funny movies, and chess clock tourneys! Celebrate a new chess tactic each day. Laughter, fast-clocks, and compelling teaching approaches make this camp the summer’s highlight! Enrollees in Blast Camp can attend the morning session at no additional charge as “Junior Counselors”. Personal Chess set to take home for each student included. Ages 16+ | Katee Smith Have you wanted to create a wall mural in your home? In this class you will learn to make simple plank signs that you can stack and arrange to make a pretty wall decoration. You will be able to pick your own quote, then you’ll stencil it on your board and finish by painting or staining it. Paint and assemble this birthday wall calendar for yourself or as a gift! Each circle has a family member or friend’s name on it and their birth date. Exchange hearts for anniversaries, too! It can say “Birthdays” or “Family,” whatever you choose. Size: Board is 16” x 4”, circles/hearts are 1” each. This 3D sunflower sign is fun to make and is perfect for your summer seasonal decorations! REGISTER TODAY! 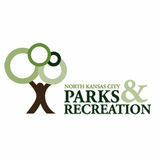 To register, go to www.nkc.org > Departments > Parks and Recreation. You can also sign up and make payments over the phone or visit the Parks & Recreation Center, Monday-Saturday 9:00 am – 5:00 pm at 1201 Clark Ferguson Drive. Ages 16+ | Katee Smith Learn how to make a string art wall hanging. This neat project can be personalized by choosing the state of your choice. Let us know what state you would like to do when you register. Gloria Boehm, Certified Instructor | Cottonwood Room Breathe, meditate, repeat, relax. Learn simple techniques to entice more focus and preparedness and less reactivity throughout your day. We’ll also stretch every part of the body and feel that “ahhh” of relaxation and renewal at the end of each class. HEALTHY LIVING CLASSES Are you trying to live a healthy lifestyle, whether because of an allergy or simply as a healthy choice? Join us to learn how to enjoy a variety of foods and snacks. Our trained chef has worked in restaurants in Denver’s Capitol Hill and has developed special menus for dietary restrictions. You will taste each dish and take home your new favorite recipes! Amy Vance, MU Extension | Cottonwood Room Tai Chi exercises the entire body—joints, muscles and internal organs—while strengthening the mind, relieving stress and bringing harmony to yourself and others. The gentle, fluid movements improve muscular strength, flexibility, balance, posture, mood and the immune system. Program funded by Harrah’s charitable grant. Gloria Boehm, Certified Instructor | Cottonwood Room In this class, you will: learn how to do a proper squat; work on balance, posture and gate; stay hydrated, soothe and calm your mind; and learn mindfulness techniques. Do you tend to have lots of leftovers after dinner? Let Heather teach you methods on meal planning for two. Are you diabetic or have you been told by your doctor that you need to change how you eat? In this class we will discuss healthy eating for diabetes and more. Ages 3-5 | North Kansas City Parks & Recreation Staff This four-week introductory session will cover the most popular sports (football, soccer, baseball, hockey and more!) Players will learn team sport basics and fundamentals. We will work on overall handeye coordination, balance, athleticism and, of course, having fun! Ages 3-5 | North Kansas City Parks & Recreation Staff Get your child active mentally and physically with this four-week program. We will play games to get your child moving while having fun! Each week we’ll dance to music to develop gross motor skills, play games like noodle tag, navigate through obstacle courses and enjoy yummy snacks! Tennis is a great sport to stay active at any age. Learn the basics of tennis in this four-week program. Beginners learn how to play and score the game, and the basics of serving and groundstrokes. Intermediate level will build on fundamentals and focus on consistency. Maximum 10 participants per class so sign up fast! INTERESTED IN COACHING? North Kansas City Parks & Recreation Department is always looking to have capable volunteers coaching our sports programs! We need coaches for: Bitty Soccer, Youth Soccer, and Youth Baseball. If you would like to sign up or just need more information, contact our Recreation Coordinator, Derrick Schupp at dschupp@nkc.org or call our office at 816-300-0545. Swing for the fences in our first ever MLB Junior Homerun Derby. This co-ed event will have 2 categories, 14u and 12u. The Derby will take place on the t-ball field located in Macken Park. Date of birth verification is required. Register day of the event. Ages 8-12 | Parks & Recreation Center This camp will be a fun chance to learn how to properly shoot bows and arrows. Participants will learn safety, proper form and practice on targets with a trained archer. After the completion of camp, everyone should have a better understanding of the fundamentals of archery and be able to use that knowledge outside of class competitively or recreationally. Participants need to bring a sack lunch. Macken Park Tennis Courts For beginners and avid players alike, this clinic will offer something for everyone. Jump start your pickleball career with a FREE clinic hosted by a US Pickleball Ambassador. Equipment will be provided. Join us Monday mornings for private court time reserved for pickleball only! This is a D-LEVEL softball league. The main focuses of this league are friendly competition, building camaraderie, and having fun! Coed Games are on Sunday evenings. All games are played at Macken Park. Teams are required to provide their own game balls. Each team will play 8 double-header regular season games with an end of season tournament. Teams must pay a $50.00 non-refundable deposit to hold the spot. All fees must be paid by August 28, or the team will risk losing its spot. Bicycle safety chec for kids! k Velo Garage will provide a basic bicycle safety check for kids of all ages, making sure bikes are good to go and customers know if there are any items that require higher level repair. Special Events Interested in becoming a sponsor? Contact us at 816-300-0545 or visit us at the new Parks and Recreation Center, located at 1201 Clark Ferguson Drive to pick up a sponsorship packet. This 5-acre park features interactive water play and an ocean theme without standing water, plus a rope play system for all ages. •	Two playgrounds, including designated areas for ages 2-5 and 5-12 •	Two spraygrounds, including the Woods Fountain area for children up to 2 years old •	Public restroom building and one family changing restroom •	Park shelter available for rent. •	Two picnic shelters are first come first serve. Each has an 8-foot table and a trash receptacle. No portable grills are allowed at any of the shelters. MACKEN PARK 1002 Clark Ferguson Drive (Northeast corner of Clark Ferguson Drive and Howell Street) This 60-acre park is utilized for sports leagues, walking, picnicking and more. The park commemorates the history of wars fought involving American citizens. A replica of the Statue of Liberty is located in Memorial Park. WAGGIN’ TRAIL DOG PARK 432 E 32nd Avenue (32nd and Swift Avenues) This 4.7 acre off-leash dog park is a partnership between the City of North Kansas City and the City of Kansas City, Missouri. There are separate areas for large and small dogs, and each area features a paved walking trail and multiple obstacles. WHEEL PARK Southwest corner of Clark Ferguson Drive and Ozark Street Just south of Macken Park, Wheel Park offers a paved, half-mile roller-blading and bike trail. Rental Information SHELTER RENTALS Resident must provide a current utility bill. There is a $50 refundable deposit due at time of reservation. 3 hours; No grills allowed. All Macken Park shelter rentals are for 4 hours; all shelters have electricity and grills. Inflatable permit is an additional $25; Rental company must provide proof of insurance. Any parties interested in hosting a special event at Macken Park must submit a Special Event Usage Permit at least 45 days prior to the date of the event. Any reservation change will incur a $25 change fee. SHELTER RULES ALL SHELTERS MUST BE CLEANED UP AND VACATED AT 9:00 PM These rules apply to ALL shelter usage. Anyone violating any of the rules will be asked to leave the premises. If you do not vacate the premises, you may be subject to prosecution for trespassing (City ordinance #9.28.020). This applies to reserved and walk-up users. 1. ALL USERS OR GROUPS are expected to leave the facility in a clean and presentable condition. Please use provided receptacles for trash and food. Clean up all debris dropped on the concrete surface and around the shelter grounds. Remove all personal belongings. 2. Your use of the shelter is limited to your reserved block of time. You must vacate the premises when your reserved time is over. 3. A $25 INFLATABLE PERMIT is required for use of any type of inflatable or bounce house at a Macken Park shelter. Inflatables of any type are not allowed at Dagg Park. 4. A SPECIAL USE PERMIT must be submitted 45 days prior to the proposed special event for approval from the Parks and Recreation Director. A Special Use Permit is required for events including but not limited to: organized walk/run events; weddings; DJs or bands; food vendors preparing and serving food on-site; more than two inflatables or carnival games. Permit applications can be found at www.nkc.org. 5. Pop-up tents, canvas coverings, or any form of tables and chairs are not allowed outside the concrete patio of the shelter. If a pop-up tent or canvas covering is used, support weights are required to keep the structure secure. Approval from the Parks and Recreation Director is required if you seek additional tables and chairs outside the shelter. 6. Public address systems, loud speakers, DJs, bands and similar apparatus require permission from the Parks and Recreation Director. Music may be played at the shelter at a reasonable level. If it can be heard by anyone outside of your party you may be asked to turn it down. If you fail to comply you will be asked to turn it off. PROHIBITED ITEMS • Piñatas, confetti, silly string and water ballons: These are hard to clean up and toxic for animals and the environment. • Adhesives and metal fasteners of any kind (tape, staples, tacks, etc.) on ANY structures in the park, including shelters • Grills of any type (Dagg Park only) • Alcoholic beverages: City ordinance #9.24.010 prohibits all alcoholic beverages, including beer, on park property including parking lots. Violators will be asked to vacate the premises immediately by park staff; failure to comply will result in prosecution for trespassing and violating park rules. • All unauthorized vehicles, commercial and private, are prohibited beyond designated areas. All equipment (picnic, sports, etc.) must be carried. NO REFUNDS FOR ANY REASON, INCLUDING INCLEMENT WEATHER. RESERVATION CHANGE POLICY: $25 FEE FOR ANY CHANGES. of the parking lot off Clark Ferguson Drive. Stop by to indulge in a cool treat while enjoying the outdoor! PARKS AND RECREATION CENTER RENTALS Nestled in the beautiful landscape of North Kansas City’s Macken Park, we offer a serene environment with a contemporary look, stone fireplace, and floor-to-ceiling windows, overlooking our premiere terrace and the lush green grounds of the park. Our facility also features a drop-down screen and projector and a state-of-the-art sound system for sharing presentations, videos and photos with your guests. All rentals require a 2-hour minimum. Remember to include set up and tear down in your rental time. Wedding/Banquet layout: Up to 100 people Classroom/keynote layout: Up to 112 people For an additional Fee, the capacity can be increased with the patio as an overflow. Please contact us for more information about this option. A La Carte Amenities These options may be added to certain rental agreements. Contact us for more information. Free Events, classes, programs and so much more North Kansas City Parks and Recreation offers.